Celebrate Mr. Seward’s 218th birthday in style. Costumed interpreters of the Seward family help mark this special day by throwing Mr. Seward an educational (and fun!) party for the ages. The event begins with a tea and light picnic fare served in the south gardens and concludes with a special concert in the Drawing Room which will feature many of Seward’s 19th-century musical favorites. 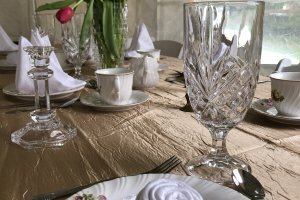 Throughout the program, hosts portraying family members will regale guests with memories of Mr. Seward’s remarkable life, amusing birthday traditions, and perhaps even some Seward gossip. All while exhibiting high Victorian fashion and etiquette. This promises to be an unforgettable event for visitors of all ages.